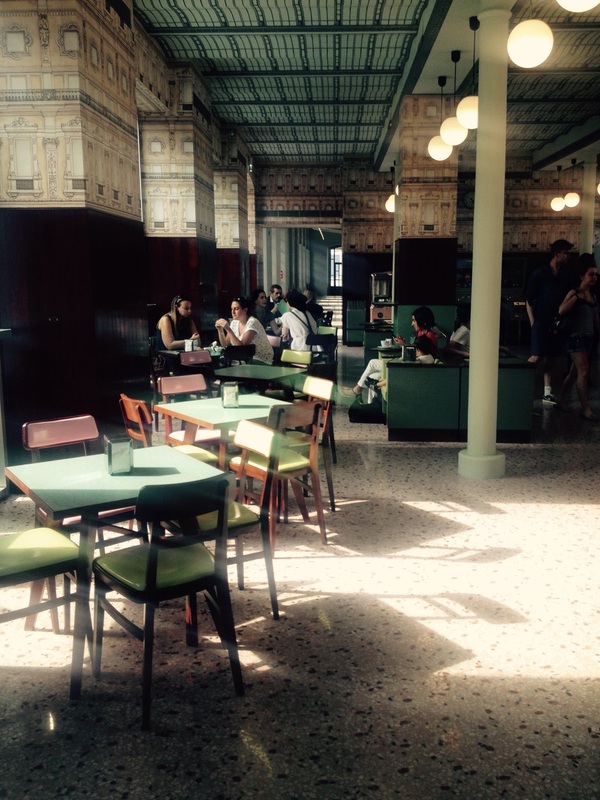 You might have noticed that I'm a bit partial to all things Wes Anderson around here so you can imagine my excitement when I found out that he'd designed a cafe in Milano in the Fondazione Prada. Having walked past it three times without noticing it, the fourth time drew me in when I noticed a woman holding a paper shopping bag with the words 'Bar Luce' beautifully written on its side. 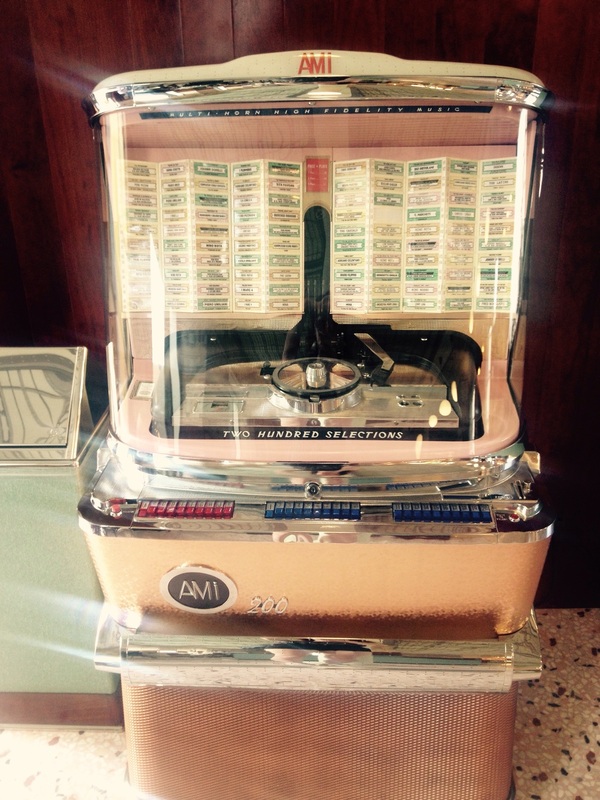 The jukebox at Bar Luce, Milan. 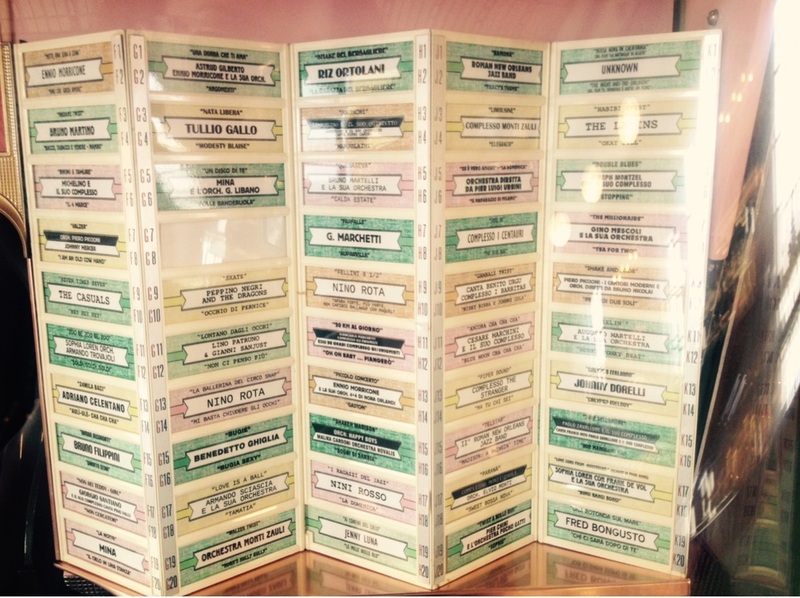 Details of the music the jukebox held inside Bar Luce. The Life Aquatic with Steve Zissou pin ball machine is key. 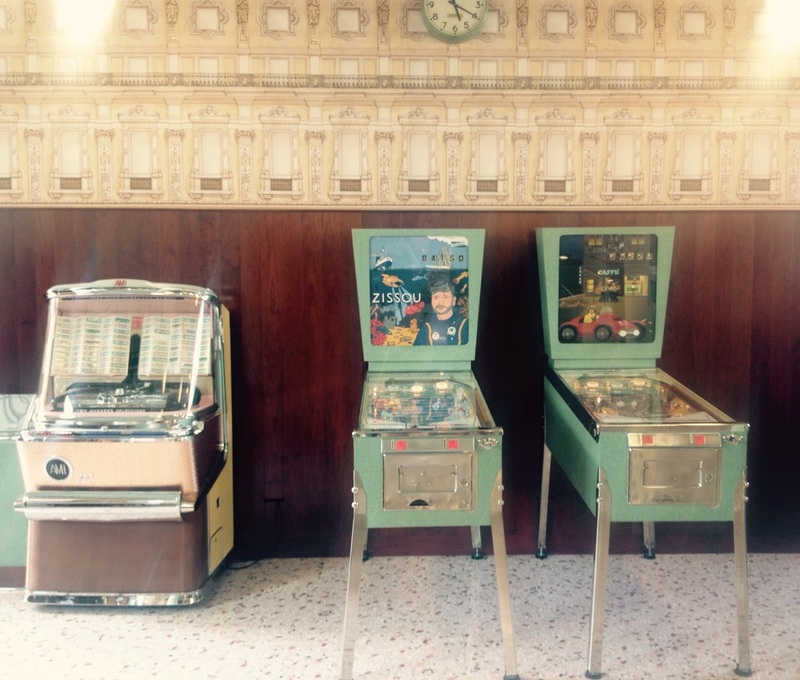 Life Aquatic with Steve Zissou pinball machine at Bar Luce, Milan. Waiters at Bar Luce, Milan. 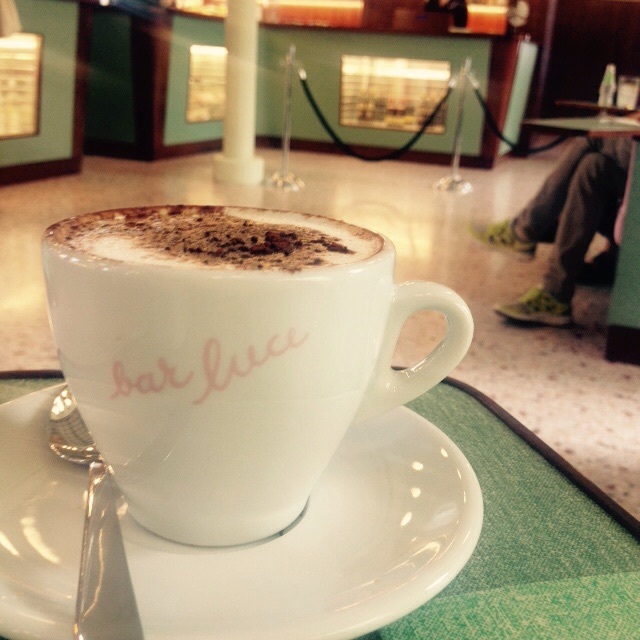 Cappuccino at Bar Luce, Milan. And all the sugar packets I stole as souvenirs were free!!! Sugar packets from Bar Luce, Milan. Ray Ban's with the stable setting at Bar Luce, Milan. 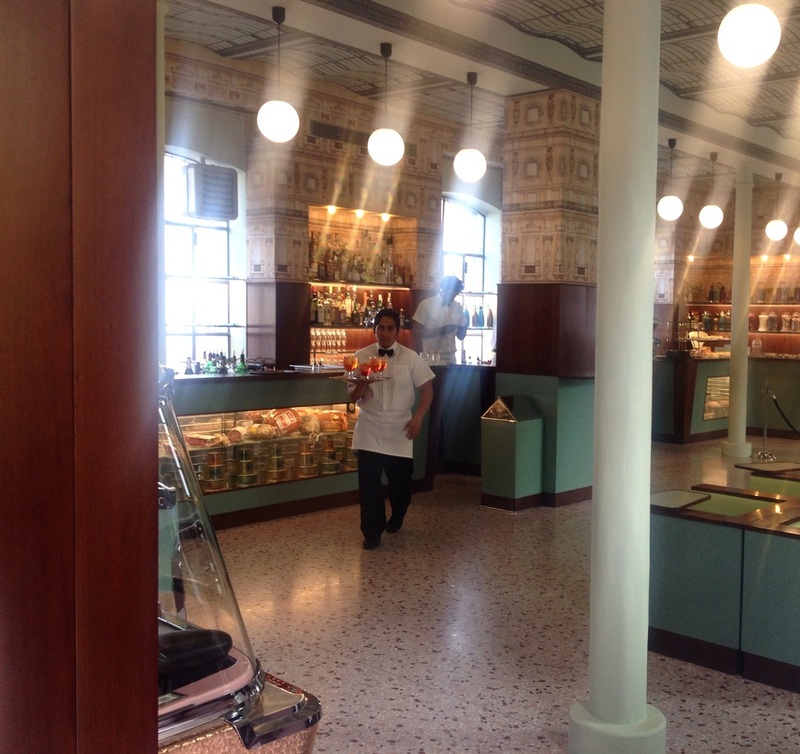 Sweets and treats at Bar Luce, Milan. ......I stole some napkins when I was leaving, I had to.